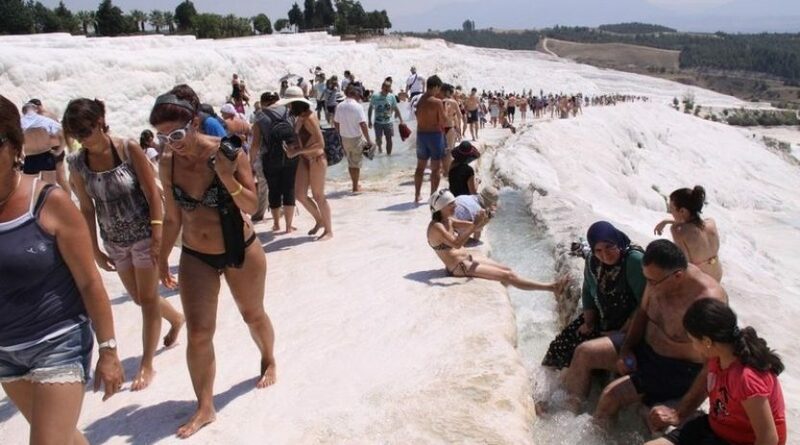 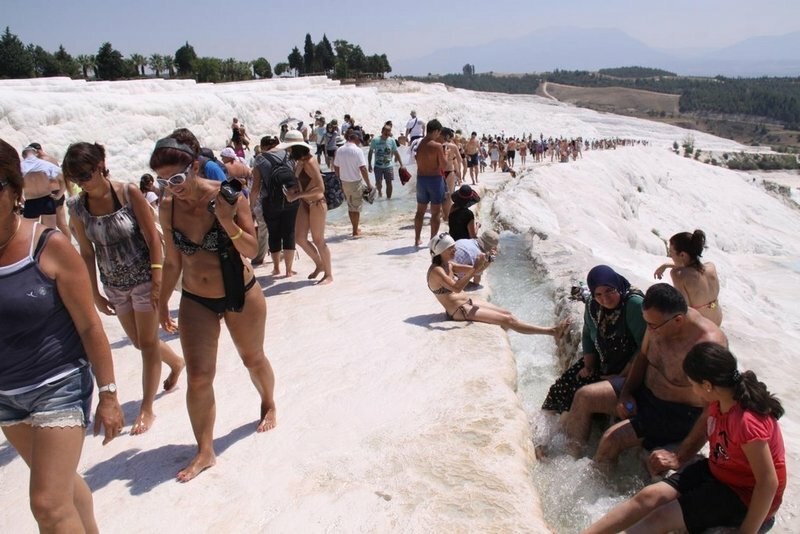 Once you are in Fethiye and would like to go Selcuk / Kusadasi to visit Ephesus Ancient City but before go there you also want to see Pamukkale Calcium Terraces and Hierapolis Ancient City, easy bus from Fethiye to Selcuk / Kusadasi is the great advantage of avoiding hassle on the way. 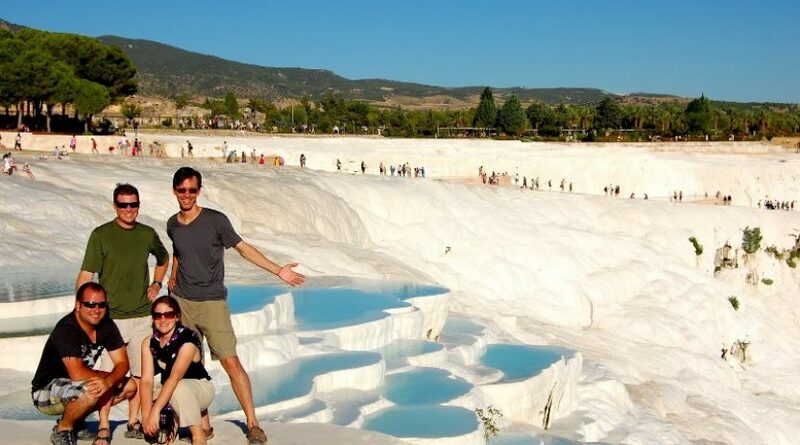 This tour is a door to door service that means, you will be picked up from your hotel in Fethiye, you will visit Pamukkale then travel to Selcuk / Kusadasi. 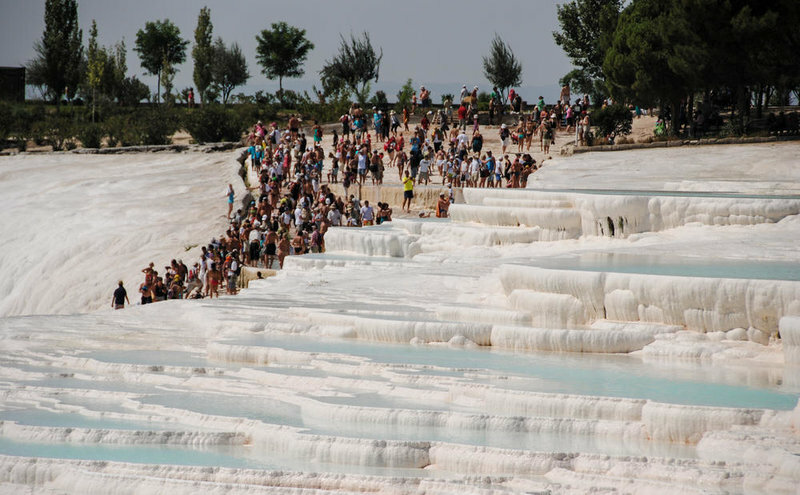 Easy Bus Tour gives you a chance for visiting Pamukkale and the Ancient City of Hierapolis while you are traveling from Fethiye to Selcuk/Kusadasi. 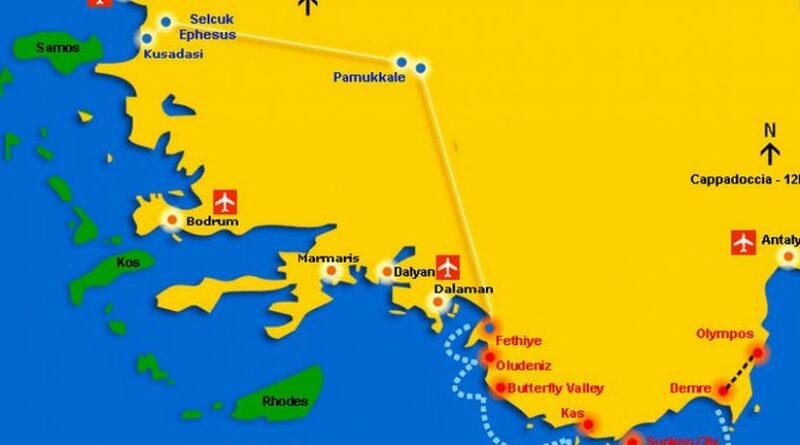 The Easy bus will provide your hotel pick up and drop off, transportation during your tour, lunch, entry fees, and a tour guide. The journey is a door to door service between hotels in Kusadasi, Selcuk, and Fethiye which would make your day so easy for moving from one city to another city and enjoyable. 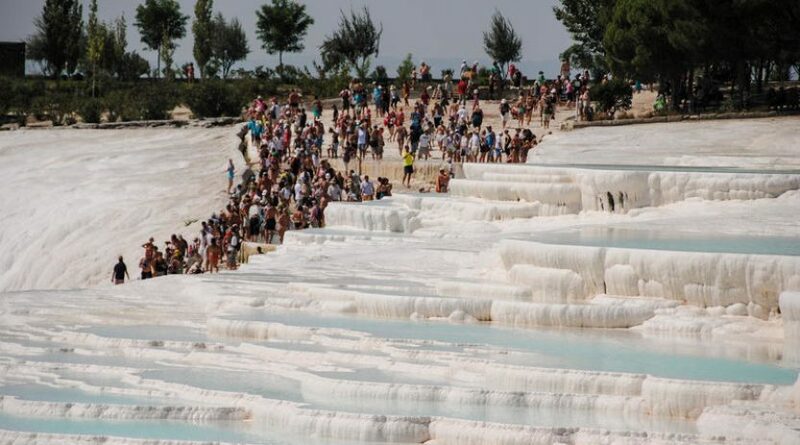 12.00 – We will have lunch at a local restaurant once we arrive in Pamukkale. 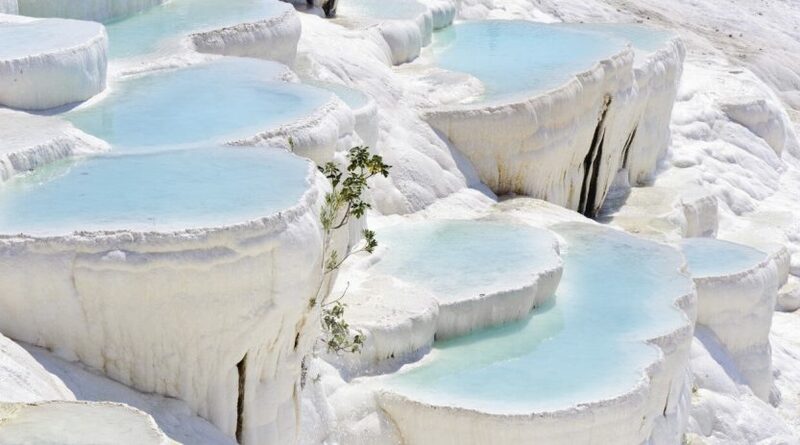 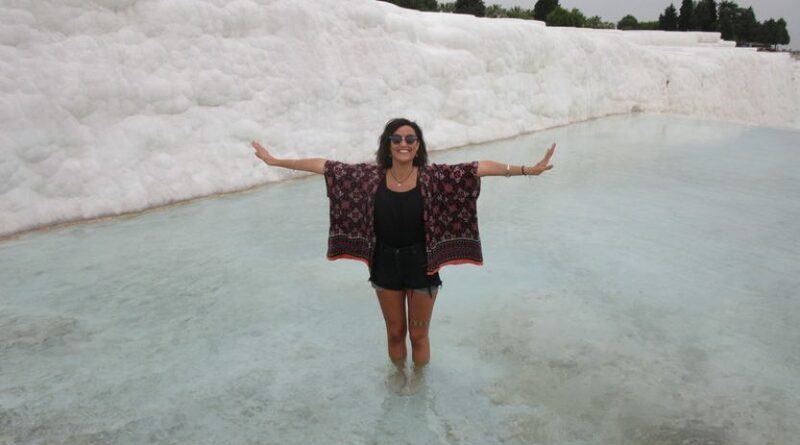 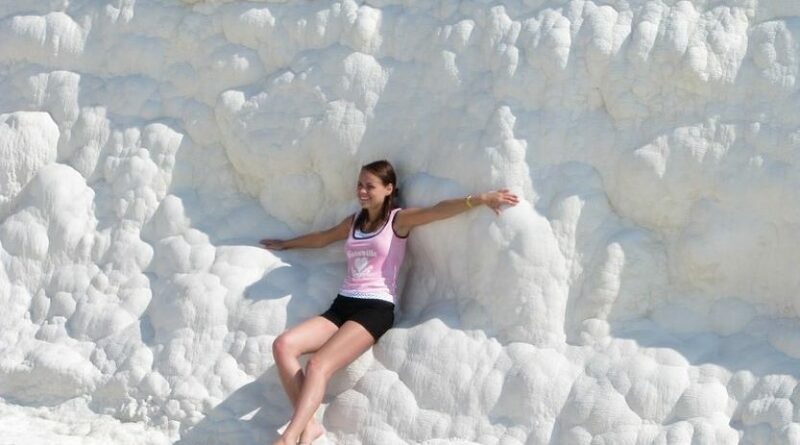 Today, we are going to visit in our guided Pamukkale Tour that covers spectacular white terraces of Pamukkale, an unusual natural and historical site, with the shining white castle like cascades, Pamukkale is one of the most important tourist attraction of Turkey and unique in the world. 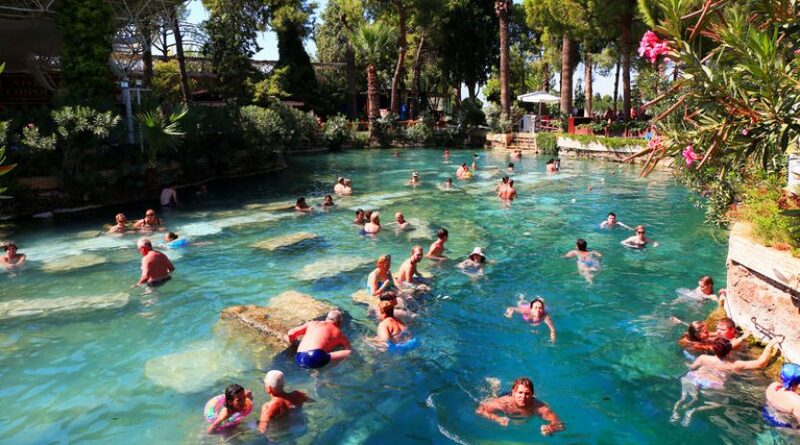 Afterward, we will visit Hierapolis Ancient Ruins where is a World Heritage Site. 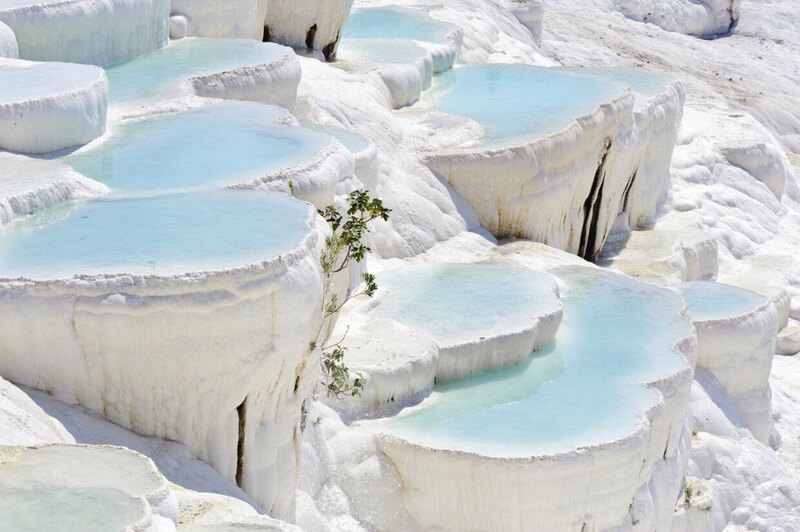 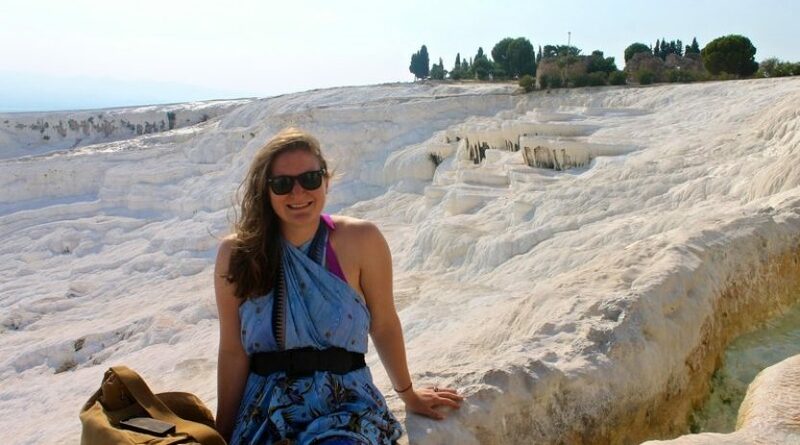 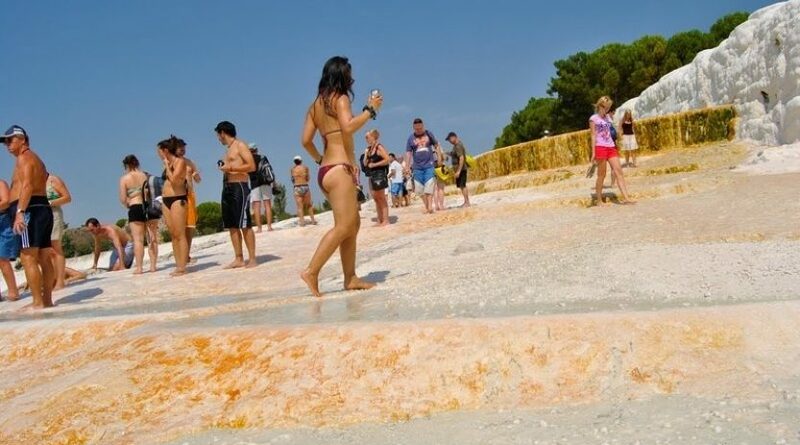 In addition to interesting Roman ruins, the site offers a Sacred thermal pool, in which you can swim amongst ancient artifacts, whilst enjoying a view of the spectacular white terraces of Pamukkale. 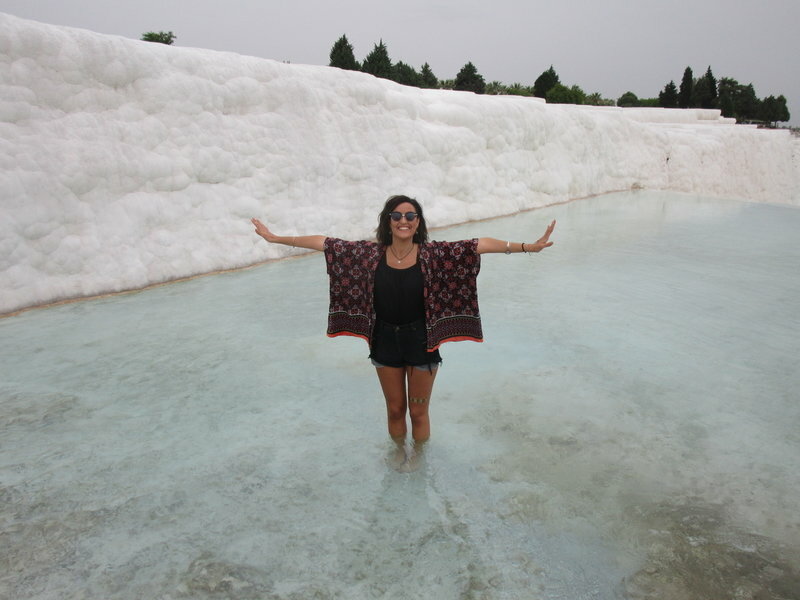 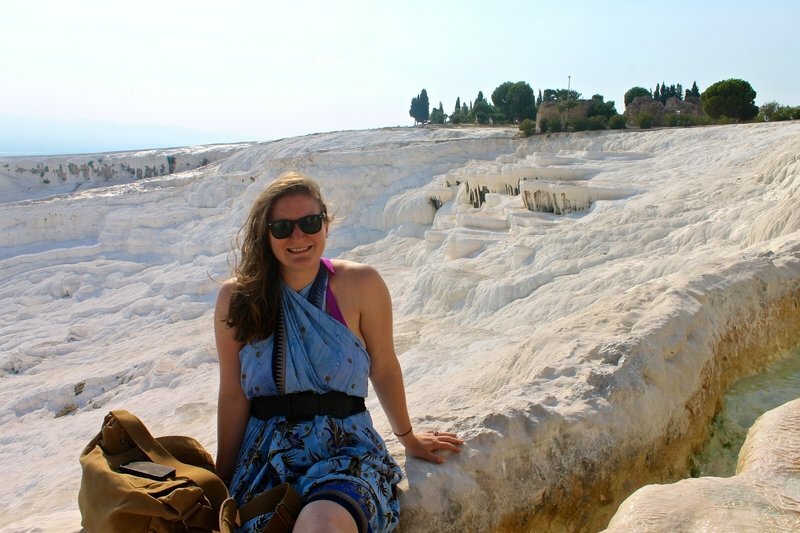 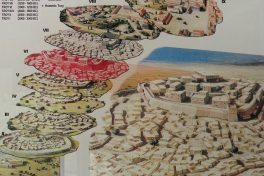 16.00 – We will depart from Pamukkale and drive to Selcuk and Kusadasi. 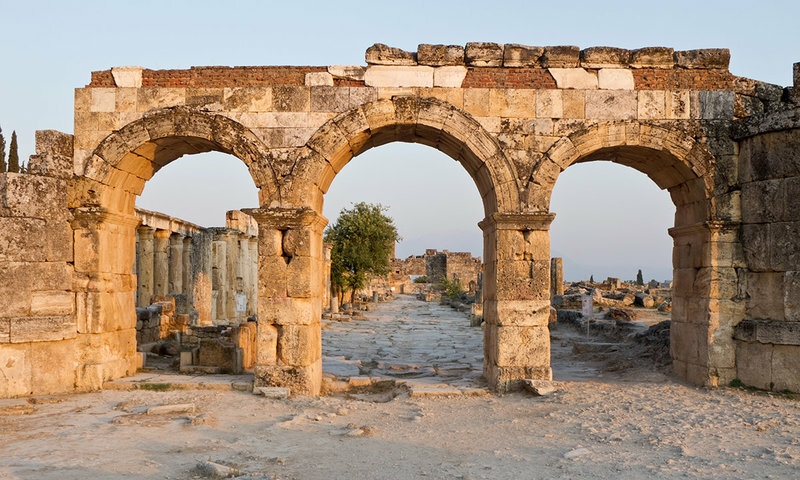 19:00 – Arrive in Selcuk and you will be dropped off your hotel in Selcuk. 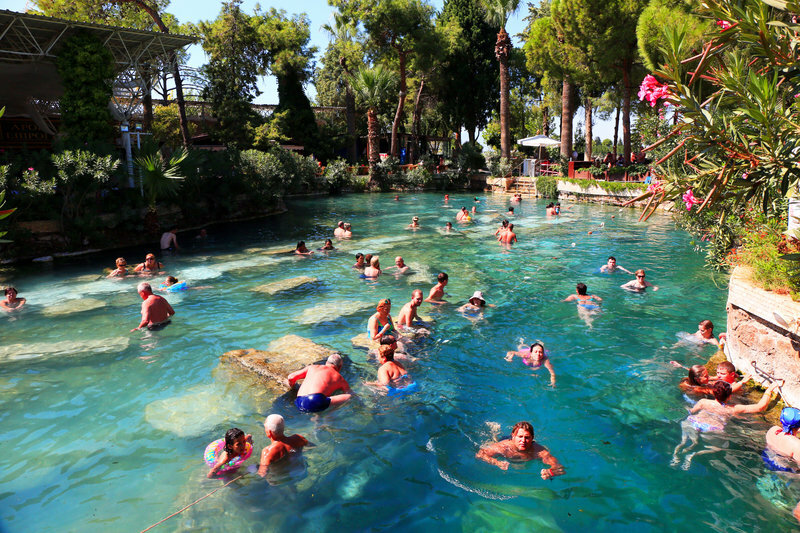 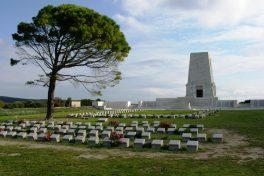 19:30 – Arrive in Kusadasi and you will be dropped off your hotel in Kusadasi. 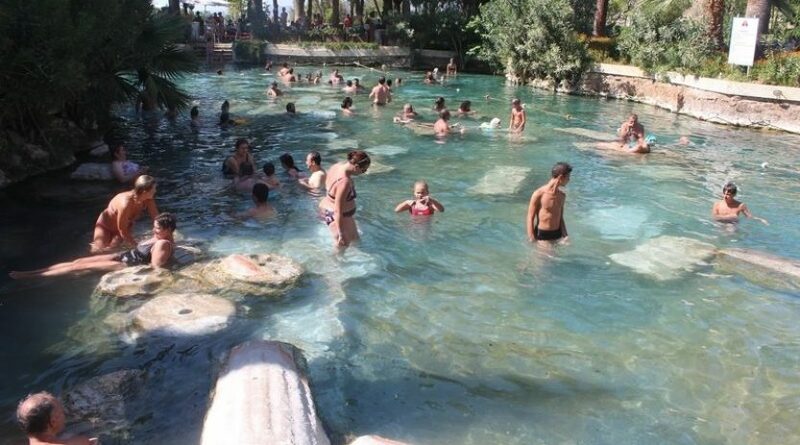 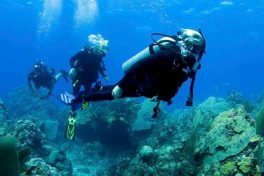 – Pick up is available from Fethiye central hotels. 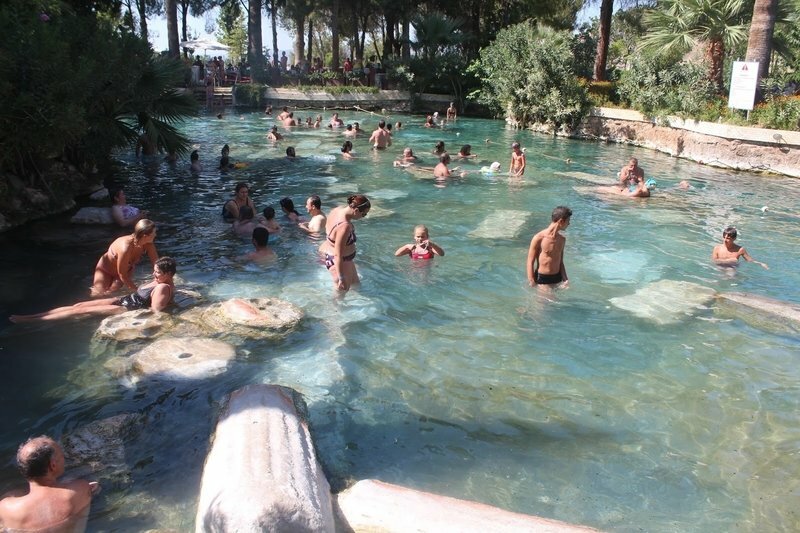 If you are not staying at the centeral hotel there is extra free for hotel pick up or you can come to meeting point in Fethiye. 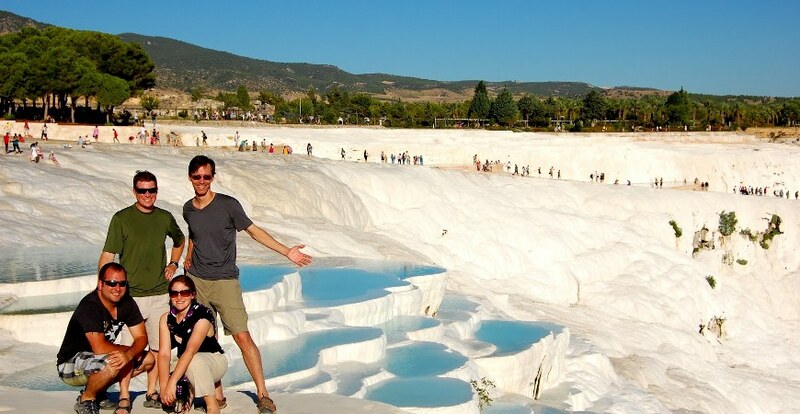 – Please inform us your hotel details in Selcuk or Kusadasi while your request.